Not so much facts today but more a focus on the first amendment, specifically Religious Freedom. If you'd like to join the discussion head over to the Facebook Group "What Makes Your State Great." 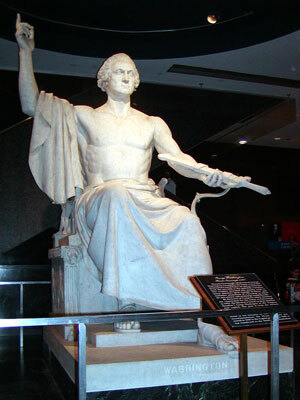 Today we're going to lead the charge into the District of Columbia. This is the focus of the NAR and DC40's "Forty Days of Light of DC". 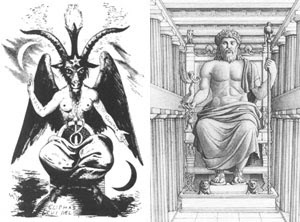 There are many stories around that say that Washington DC was founded on Pagan symbols or even Satanic symbols. Some sites even go as far as to say that statues of George Washington were made to look like statues of the Greek God Zeus and perhaps even Baphomet. To me the idolatry and negative energies located in Washington are not so much related to Paganism but more related to greed. But that's just my personal opinion. Today I'm sending out love and protection to the great "District" of Washington DC. I'm sending protection and support to the Goddess Columbia and directing all my energies to protecting our freedom of religion.